so simple its silly really.. 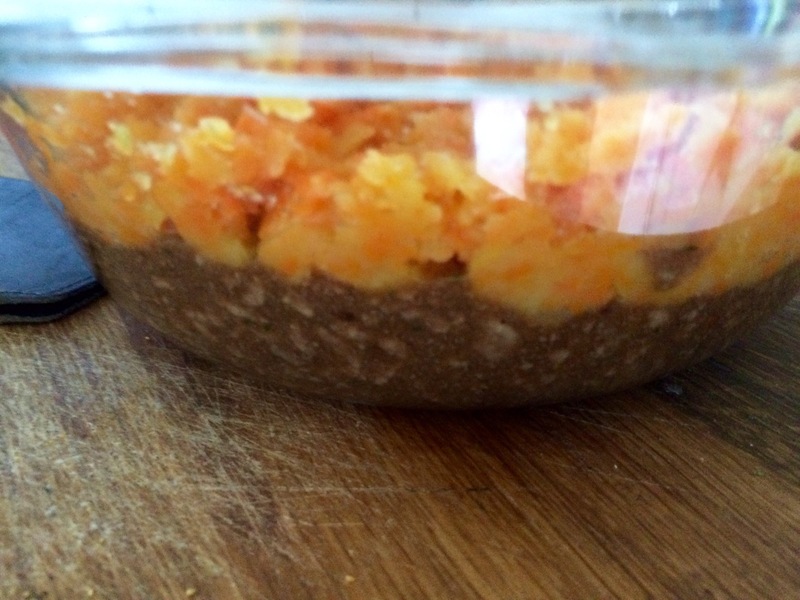 Yet cottage pie is one of those lovely #comfortfoods that just raises the heart.. 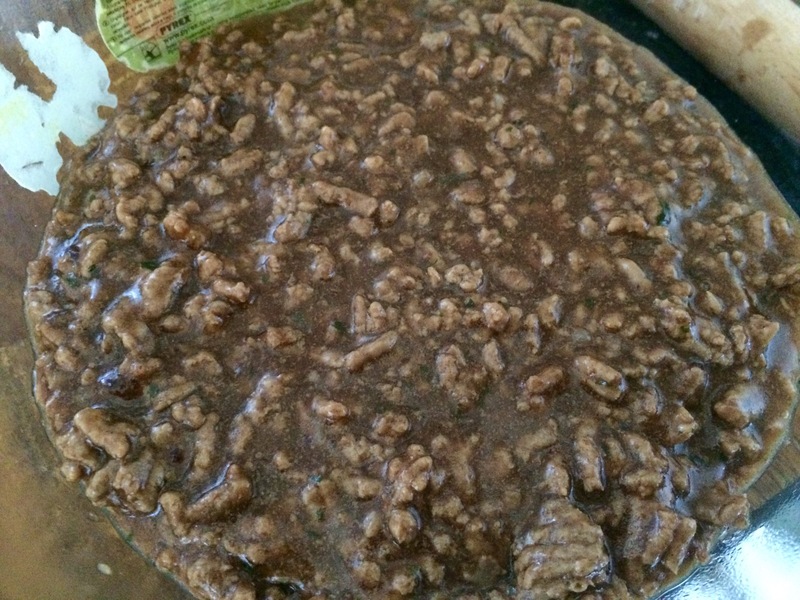 The ground beef (as this is cottage pie right?😊) is browned off and the gravy mixture added.. 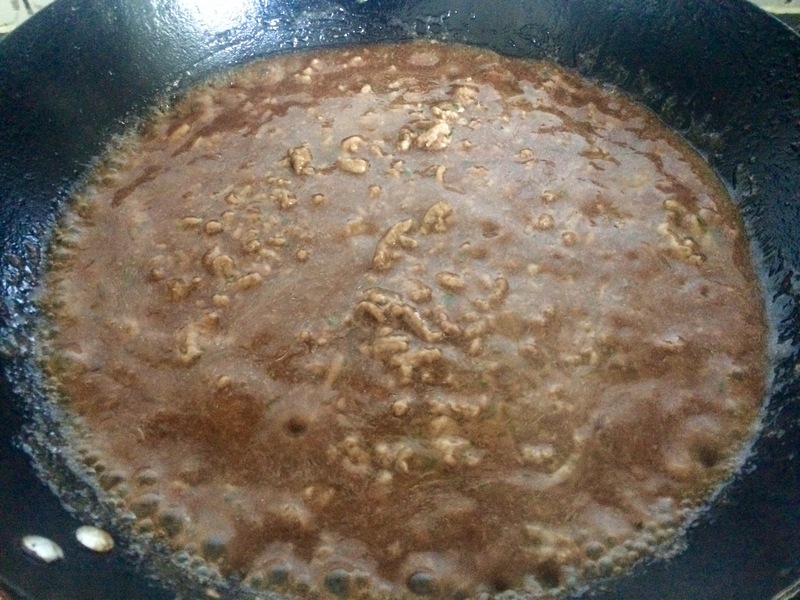 The gravy mixture this time around was admittedly a mix up of things from the cupboard yet start with a good beef stock and work it from there! 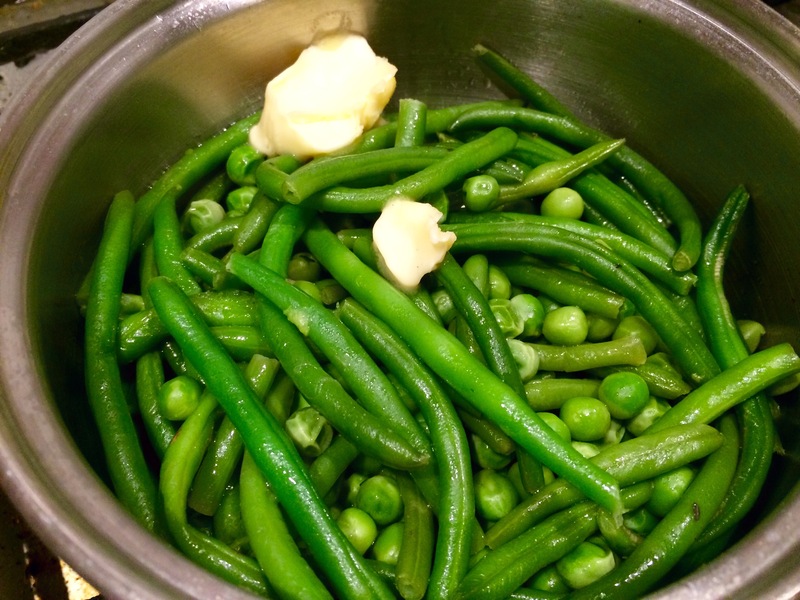 It boils down to something like this (well actually it boiled to exactly something like this hahaha!).. The potato starch helps with the quick thickening.. 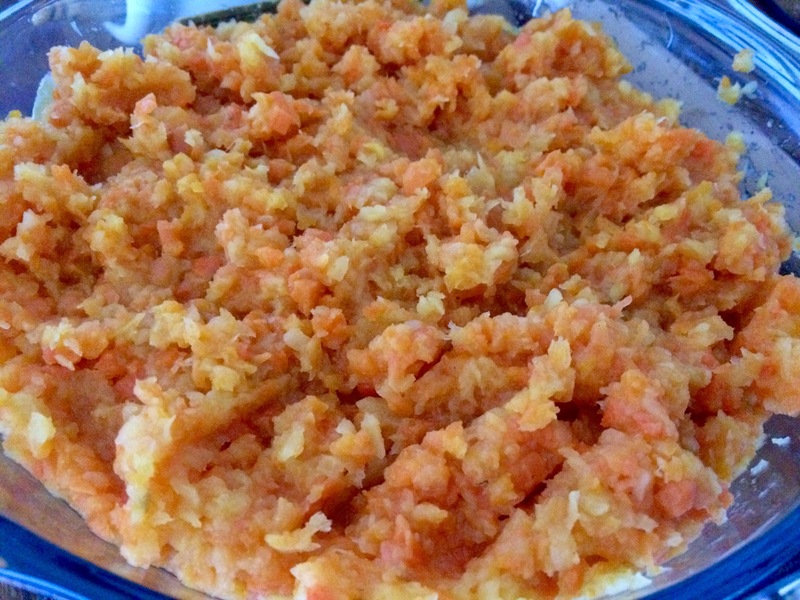 I prefer it to corn starch ..
A topping of carrot and swede, boiled and crushed up with butter and seasoning..
About this thickness gives a good ratio of meaty lovelyness to starchy heavenlyness.. It needs cooling before reheating ..which is into the oven at 200 real degrees for about half an hour.. The top won’t be going that crispy yet the good thing about using Pyrex is that you can see that the meat mix is bubbling away..
Peas and fine French green beans will be joining the cottage pie on the plate.. They are simu boiled in some reverse osmosis water, buttered and seasoned with some French dressing..
Want to see the plate shot? 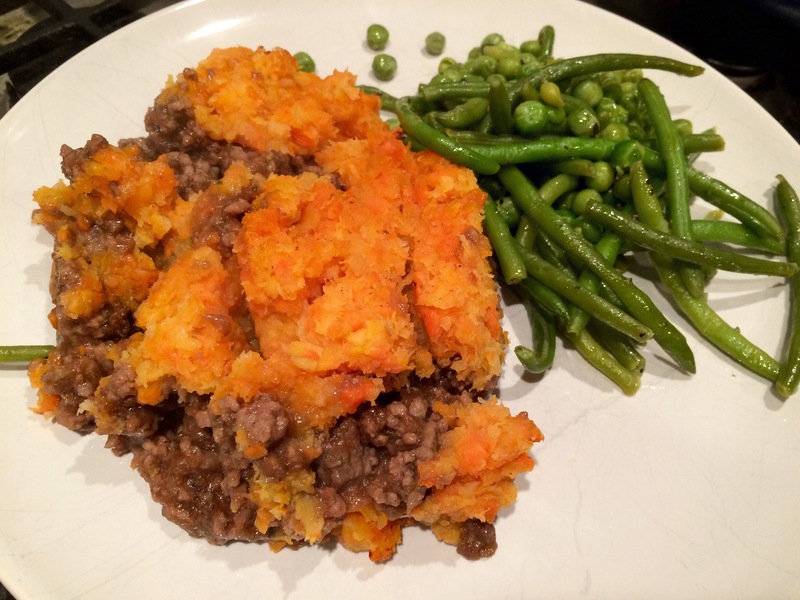 Tags: #comfortfood, #simplesuppers, cottage pie recipe, what is the difference between cottage and shepherds pie?